Even though many people direct that their money be paid in the same manner that state law directs, not everyone wants to leave everything equally to their children or next of kin. If you want to leave your money to your children in an unequal fashion, or if you want to leave your assets to somebody other than your next of kin, it is vital that you prepare a Will saying where you want your money to go. Otherwise, people do not know about it and lawsuits often result. If you have minor children, a Will with trust provisions allows you to control of both the amount and timing of distributions to your children. You can set up a tiered trust or a dynasty trust. A dynasty trust is a trust that goes on forever. Typically this is set up so your heirs only receive money at the discretion of the trustee. This way, your money can stay in the family forever if funded with enough assets. You can also set up a trust to deal with special situations, like if you have a child with special needs or a child with marital, financial or drug problems. By giving a neutral trustee discretion as to when to distribute money out, this will protect both the child and your money. One of the most important things you must decide on when preparing a Will is who should be your Executor, Trustee and Guardian. An executor is the person who comes into your house, looks through all your things, probates the Will, gathers up your money, pays your bills and then disposes of your assets according to the terms of the Will. A trustee is a person who manages money for the beneficiaries of the trust and pays out money according to the terms of the trust. A Guardian is the person who takes care of your minor children. It is much better for you to decide who you can trust to fill these roles than to have a Court decide. A modern Will should allow for a great deal of flexibility because of the ever-changing tax laws. Regardless of whether a Testator’s estate goes up or down, the will should contain formulas to take into account the current state of the tax laws and future anticipated changes. Additionally, each state has different laws with respect to “death taxes”. A good will should take each state’s estate tax or inheritance tax into account as well as the federal estate tax laws. Many problems occur when beneficiaries are stuck with trustees whom they cannot remove. A modern Will should have the ability for trusted beneficiaries to replace trustees and appoint independent trustees to allow for invasion of principal to beneficiaries in a way that will not produce adverse tax consequences. 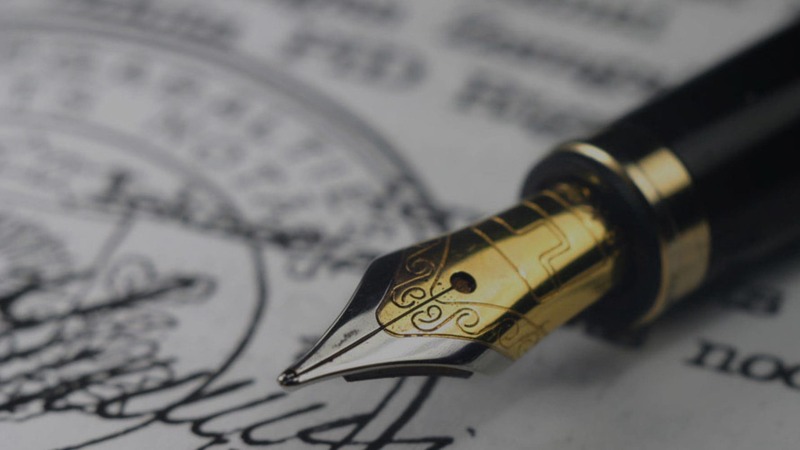 A will should allow for post mortem planning, which allows the surviving spouse or an independent executor ability to do estate and tax planning after the death of the testator. One of the ways to do this is through disclaimers. A will that directs where money goes if some disclaims it (or basically says “NO” to their inheritance) can be very valuable. It provides for both tax and creditor protection planning. Establishing a trust for the benefit of a surviving spouse allows couples to make full use of both spouses’ tax exemptions. The alternative would be that the surviving spouse inherits everything and pays a higher tax when the second person dies. It is also important for wealth families to establish multiple trusts to minimize the Generation Skipping Transfer Tax (GST tax). This is a tax on large gifts to grandchildren that can be minimized with proper trust planning. You will NOT lose control of your finances if you sign a Will. First, a Will is not effective until after you die. Second, a Will can be revoked or modified at any time as long as you have capacity. A Financial Power of Attorney does not act as a Last Will and Testament. Many people just sign one form or another. A Will only deals with assets after you are dead; a Power of Attorney only controls for when you are alive. The instant the Grantor dies, his or her Power of Attorney is no longer effective. Many people think that they do not need a Will if they have a Revocable Living Trust. In many jurisdictions, such as Florida and New York, practitioners routinely recommend creating a Revocable Living Trust to avoid probate. Even in such jurisdictions, it is highly recommended that you prepare a simple Will leaving everything to your trust on the off-chance that you have forgotten to put some assets into your trust. Additionally, a Revocable Living Trust will not be able to deal with assets that you may be entitled to receive after your death, such as proceeds from a law suit or an inheritance. Some people think they do not need a Will because they do not have any assets. First, almost everyone has SOME assets. Even if you have a bank account with $50 or a car worth $1500, something must be done with those assets. Also, we are generally all worth more dead than alive. You may be entitled to certain work benefits or law suit proceeds as a result of your death, and a Will can direct where they go. Other benefits of having a Will include ensuring that you have a clear WRITTEN plan for the distribution of your assets after your death. A written plan provides proof of what you want which can help avoid infighting amongst surviving family members. Another benefit is that it eliminates need for Insurance bond for Executors, Trustees and Guardians. This can be a savings of approximately $500 for every $100,000 that the estate is valued at. More importantly, if your next of kin have credit problems, they may not qualify for a bond. Accordingly, having a Will would allow your heirs to serve more easily and at less expense.